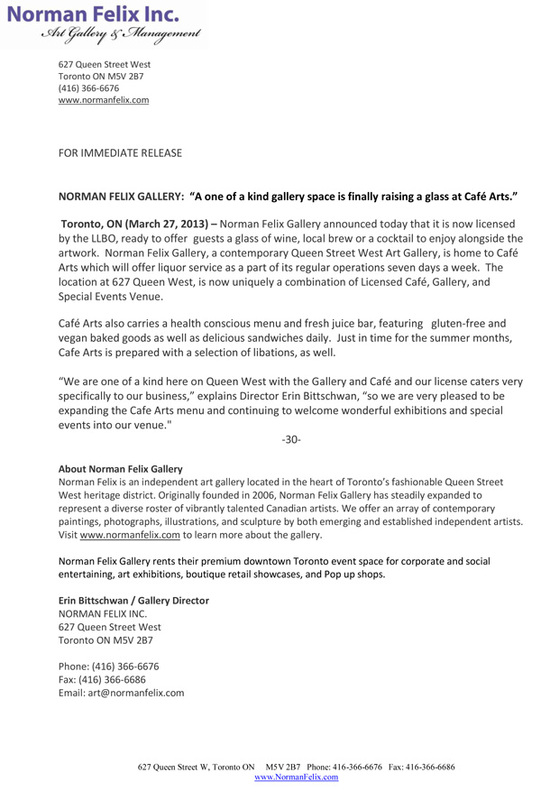 “A one of a kind gallery space is finally raising a glass at Cafe Arts” – Newly Licensed Norman Felix Gallery @627 Queen Street West ! Norman Felix Gallery is pleased to announce that the licensed bar is open for business. Our Gallery is proudly LLBO licensed, and is one of the only spaces of its kind citywide. Norman Felix is distinct from almost any other space in Toronto, as a combination Art gallery, Cafe and Events Venue.